Hoover, Ala. native Brian Toone received his B.S. degree in Computer Engineering from Clemson University, and his M.S. and Ph.D degrees in Computer Science from the University of California. 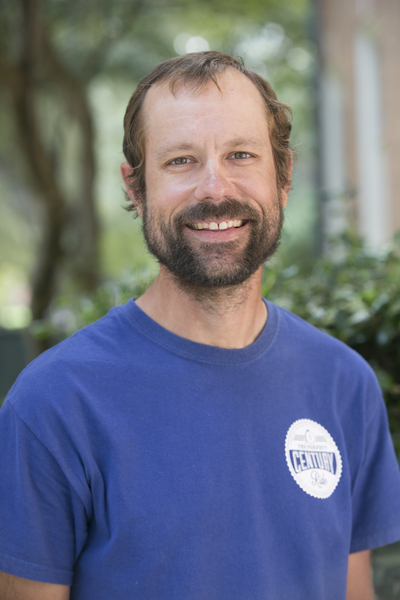 He has worked as a Software Consultant, a Software Developer for Mercy Ships International, and as an Instructor/Teaching Assistant while completing his doctorate. The opportunity to teach in a small school setting in a vibrant and growing computer science program brought Toone to Samford, and he especially enjoys one-on-one interaction with students who are eager to learn about computer science. Toone's research interests include web engineering, software engineering, trust and security, programming languages, database applications and theory, mediation, the semantic web, domain-specific languages and parallel processing. Outside the classroom, Toon is a competitive cyclist, and writes a blog about his passion for the sport ( http://toonecycling.wordpress.com). He has been a member of USA Cycling since 1993, and placed in recent state and national championships. Brian Toone. Trust-enhanced mediation for distributed information systems, Dissertation. UMI Microform Publishers, 2005. Brian Toone. MySQL spatial indexing for GIS data in a web 2.0 internet application, Presentation to the Alabama Academy of Science, 2007. Brian Toone. "Trust models for distributed information systems." University of California, Davis Security Lab, 2003. My current research topic of interest is web engineering. I am interested in studying new ways of applying the concepts of software engineering to the web application development and optimization for performance and security. I also have an interest in parallel computation and studying ways to bring the power of parallel computation to web applications. I am currently in the process of building a virtual supercomputer for use across campus. The virtual supercomputer is in reality a non-dedicated cluster of computers networked together to donate idle processing cycles to tasks scheduled to run on the virtual supercomputer. Initially, the computers used in the cluster will consist of department computers located in one of our classrooms. The goal is to expand the project to include computers in labs all across campus.